There is a growing disenchantment with the ability of institutions, governments, and business to deliver on people’s hopes and expectations, according to the CEO of World Vision Australia Tim Costello in a keynote speech to the recent Australasian Better Boards Conference. Costello spoke to the conference about the role that leaders need to play and the specific issues that loom up around the Not for Profit sector. “Those who lead, as executives or on boards, or in whatever capacity, clearly have some specific factors and principles that they need to have front and centre of their minds,” Costello said. 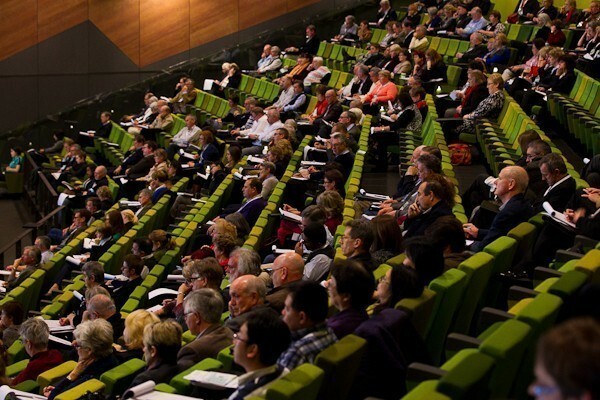 Some five hundred delegates from across Australia and New Zealand attended the 6th Australasian Better Boards Conference at the Melbourne Convention and Exhibition Centre. The Better Boards Conference was designed to encourage those in governance roles in the Not for Profit space to make new connections and gain knowledge. One of the themes of interest to board members that has emerged from the Conference has been the challenge for board members of ascertaining the most effective way of directing their particular organisation and the difficulty of keeping within the boundaries of a governance role. New regulations relating to the sector, especially those that are part of the construction of the Australian Charities and Not-for-profits Commission were another hot topic. The ACNC was represented by newly appointed deputy Commissioners, David Locke and Murray Baird. Claire Braund, the Director Women on Boards told the Conference that the ACNC would provide the Not for Profit sector with a mechanism to collect good quality data, indicators for performance measurement and provide guidelines for board members and trustees. To find out more about 3 day Conference Presentations click here.